Home Companies Shanghai Yunbao Trading Co. Ltd.
• High corrosion resistance, resulting into a longer life. • Excellent flow characteristics leading to significant energy savings. A. Non-conductive: Good insulation, able to resist 25kv voltage, assuring a safe system. B. Fire resistance: Self-extinguishing, do not support combustion. C. Corrosion resistance: Resistant to acids,bases and salts, assuring a lower maintenance cost and a longer performance life. 10. Package: 10m,25m,50m, 100m per roll with flim and a colorful label. Or meet the customers' package request. 11. Normal quality, Medium quality or high quality, meet different market request. 12. The quotation subjects to our final confirm. 13.Term of payment: 30% deposit, 70% by T/T before shipment Or 100% by L/C at sight. 14.Delivery time: About 20 days after received down payment. 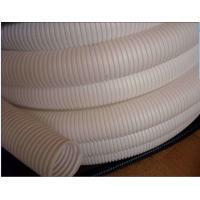 Corrugated Pipe is a tubular elastic sensitive element that is connected in the direction of folding and expansion with foldable wrinkles. Used for tool machines, electric equipment, food machine, automation instrument, drainage, vacuum cleaner etc. Its open end is fixed, the sealing end is in free state, and the auxiliary spiral spring or reed is used to increase the elasticity. 1. The Nylon tubes with High flexibility, fire hazard, low smoke density, low toxicity, halogen free, high UV and high fatigue life, self-extinguishing. 2.Various shapes and connector can be available for your option. 3. Good flexibility,twist resistance and good bending performance ,able to bear heavy loads ,acid resistant lubricant resistant and coolant resistant ,luster on surface and abrasion resistant. 4. Anti-electricity, eroding-resistant and high temperature resistant. 5. The coolant hose have nice appearance.